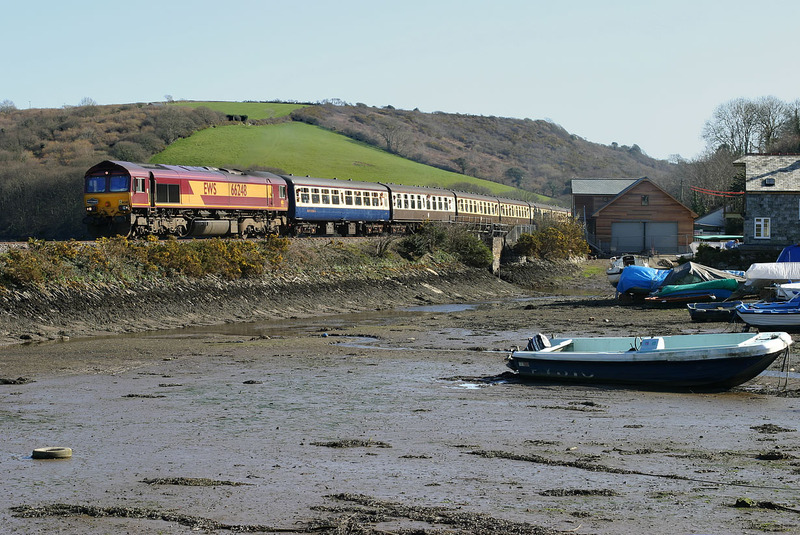 66248 passes Golant Harbour on 19 March 2005 as it returns the Pathfinder Tours 'Western Lizard' railtour from Fowey. D1015 Western Champion was of course the highlight of the tour, and had lead the train down the branch. I suppose in 40 years time a Class 66 would be the highlight of such a tour!